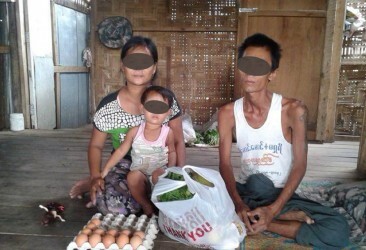 Archive by category "Family Support"
Ma Phyo no longer receives nutrition support from The Charis Project. This is because she is now stronger physically, emotionally, mentally, and financially and ready to step forward to a better future for her children and family. "I always pray for you. And I want to say THANK YOU VERY MUCH. I’m very happy because of your help. Every night I pray, I pray for you, for the people who have helped my family." 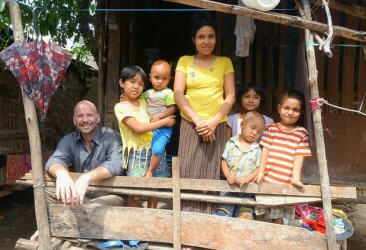 In four short months they have mixed our help with their strength and are now debt free. Do You Want My Baby? 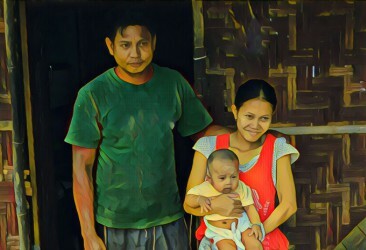 Imagine how you would feel, living in a tiny bamboo hut on stilts, above a mosquito infested swamp/sewer, in a crowded village strewn with refuse, where you live at the mercy of the landlord, who is also your boss, barely able to feed the children you already have, to find out you were expecting another. In another time or place, this mother could have been treated another way; she and her husband may have been pressured to give their child to a home where he might lay on a cot for hours, unattended. This is the worst side of the previous, institutional model of care for families in poverty. 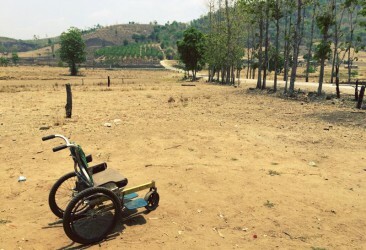 This is what The Charis Project seeks to prevent. When men, women, and children live in families, they are experiencing justice and providing justice to others. This justice spreads, because as they gather in a community and the communities form the state, everyone has a stake in doing what is best for the least powerful among them and giving everyone his due, which is justice. I have the huge honor and privilege of playing my little part in making this possible and it is really working.